The 1990s were a glorious time for the Chicago Bulls, an age of historic championships and all-time basketball greats like Scottie Pippen and Michael Jordan. It seemed only fitting that city, county, and state officials would assist the team owners in constructing a sparkling new venue to house this incredible team that was identified worldwide with Chicago. 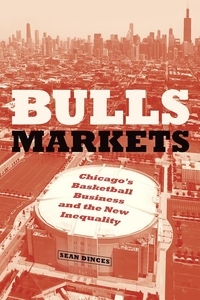 That arena, the United Center, is the focus of Bulls Markets, an unvarnished look at the economic and political choices that forever reshaped one of America's largest cities--arguably for the worse. 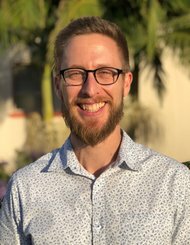 Sean Dinces shows how the construction of the United Center reveals the fundamental problems with neoliberal urban development. The pitch for building the arena was fueled by promises of private funding and equitable revitalization in a long blighted neighborhood. However, the effort was funded in large part by municipal tax breaks that few ordinary Chicagoans knew about, and that wound up exacerbating the rising problems of gentrification and wealth stratification. In this portrait of the construction of the United Center and the urban life that developed around it, Dinces starkly depicts a pattern of inequity that has become emblematic of contemporary American cities: governments and sports franchises collude to provide amenities for the wealthy at the expense of poorer citizens, diminishing their experiences as fan and--far worse--creating an urban environment that is regulated and surveilled for the comfort and protection of that same moneyed elite.